NEW CENTRAL BANK requirements for lenders, which will take effect from the beginning of next year, will make it easier for customers to get information about savings they could make by switching mortgages. The Central Bank today released details of the rules, which follow 2015 findings that more than one fifth of borrowers could save money by switching. 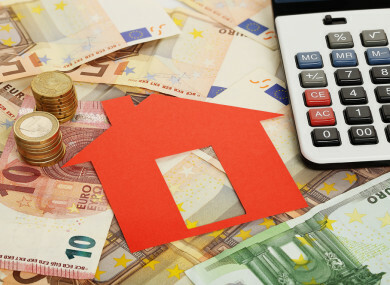 The analysis of over half a million mortgages found approximately 16,000 could save over €1,000 in the first 12 months, and around 27,000 switchers have the potential to save in excess of €10,000 over the lifetime of the mortgage. Most people who have a mortgage never switch to a cheaper offer. Reasons include not realising how much they could save, finding it difficult to compare mortgages and believing the process is too difficult or will take too long. Lenders will have to notify customers 60 days before their fixed rate term ends and provide details of the new rate and possible other options. Currently lenders do not have to remind customers in advance at all. Banks will have to let variable rate mortgage customers know every year whether or not they can move to a cheaper interest rate. On request, all lenders will have to provide an indicative comparison of the total interest payable on the customer’s existing mortgage and the interest payable on the new or alternative rate on offer. Banks will be required to alert customers to the relevant section of the Competition and Consumer Protection Commission website where they can compare prices. These changes will also mean lenders have to acknowledge receipt of a mortgage application within three days and make a decision within ten days following receipt of all the required information for assessment. The aim of these changes is to encourage customers to shop around and make the switch if it will save them money. The regulator is also hoping that the new requirements will bring increased competitiveness to the market, with better rate offers from banks who will not want customers to switch to another lender. Today the Central Bank also revealed it had instructed a number of lenders to withdraw or amend advertisements relating to mortgage incentives. This review found some mortgage advertisements were not clear enough, particularly in relation to qualifying criteria and some details considered relevant by the regulator were hidden in footnotes. It instructed lenders to withdraw or amend around 75% of advertisements across online platforms, news media and billboards. Commenting on the new rules today, the Central Bank’s director of consumer protection Gráinne McEvoy said the focus is on assisting consumers with lowering their mortgage repayments, where possible. “Our research has shown that one in five mortgage holders could save money by switching their mortgage, and that significant numbers can make substantial savings,” she explained. Email “New rules for banks will make it easier to save thousands on mortgage repayments”. Feedback on “New rules for banks will make it easier to save thousands on mortgage repayments”.